Abuelo's Mexican Food Embassy in Michigan; is one of Parents-in-law favourite restaurants.Last week, we celebrated my mother-in-law's birthday at Abuelo's Mexican Food Embassy in Michigan. Actually,this is not our first dine-in in the restaurants,we like the ambiance of this restaurants, the food was great and the server are friendly. 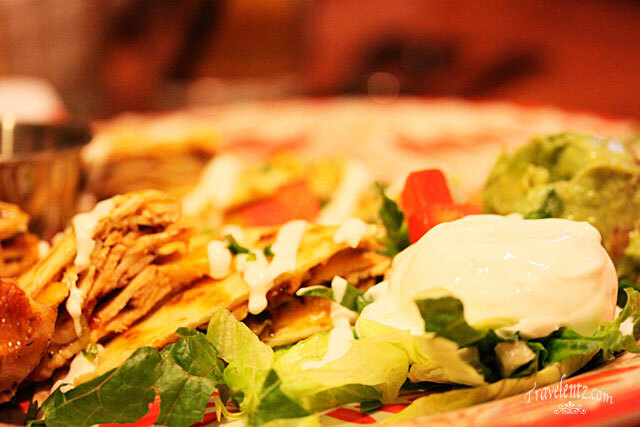 Chicken Quesadilla-with sour cream and guacamole. The reason why we want to come back on Abuelo's Mexican Food Embassy in Michigan because of the food, the chips and salsa is so yummy and they served plenty of food that I could not finished and brought home for another meal. 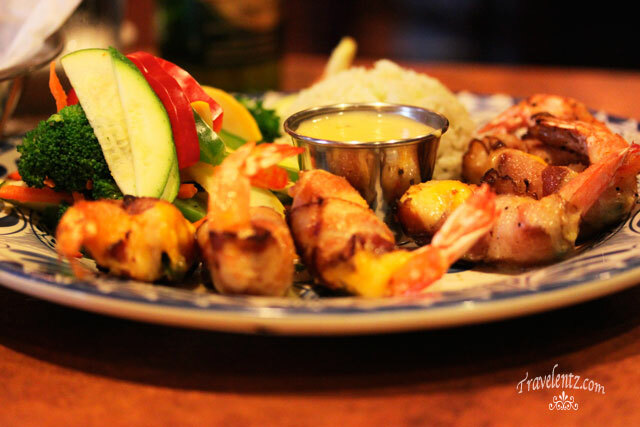 Alambre De Camaron-Wood-grilled, bacon-wrapped fresh shrimp stuffed with jalapeño and blended cheeses. Happy hour is another reason to order their drinks. I do love their mojito and margarita,can't wait to go back again. they indeed look so yummy, Mhie. I always love your food photos. oh, and love that alambre de camaron. We like going to a Mexican Restaurant and I like their chips and salsa. Alambre de Camaron, seems a spicy dish. Never been to a Mexican Restaurant but I do love Tacos. I am drooling over here. I do love Mexican foodies too but as you very well know, not too many choices from here. The locals don't get to patronize international cuisines. But as for me, I do love to experiment and try everything there is on the table. Looking good.... Mexican foods are on the spicy/cheesy side, am I right? I only came to appreciate Mexican food when I married my husband. Now I love it! hey, those are the kind of mexican foods I love the most...yum! grandpas mexican resto tastes good! wow ive never been to a mexican restaurant before. hubby doesnt approve it. i wish to dine one someday... the food looks really good! they look inviting...i love mexican foods...yum! Looks great! I haven't tasted any Mexican foods but I bet this one's really good.